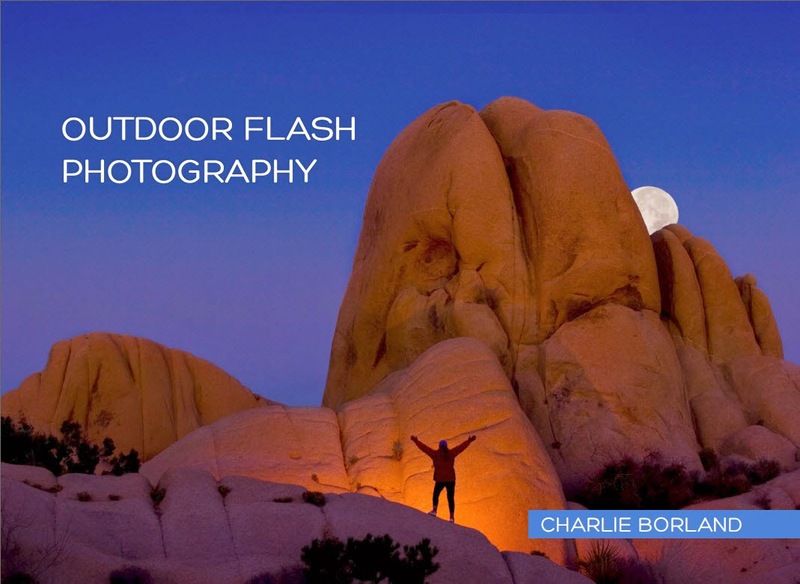 The Commercial Photographer: Photography Usage Rights: Who Can Use Them? I appreciate that the rights you describe here are standard practice in the photography business, and that they may have even made sense in the pre-digital era of print film, where a negative represented the canonical version of each photo. But with the advent of digital photography and "copyleft" licensing like the Creative Commons, I have to ask, "Why is this how things are done?" For example I was amused, annoyed really, to learn after the fact that our wedding photographer kept the negatives of our wedding photos (this was 11 years ago). It seemed very strange to me then, and still does. Was I really that out of line to think, "We went to big expense to put together the wedding, we paid for the photographer's time and expenses, hell, we even paid for their dinner and drinks ... so why exactly don't we own the rights here???" This model seems even more bizarre in today's world of digital media, where there is zero cost of reproduction. It's why your plane seat analogy (I think) misses the mark. I'm not paying for the rights to the plane seat, I'm paying for the very real and significant costs that are required to move that seat from point A to point B - the salary of the flight and ground crew, fuel costs, terminal lease fees, etc. If anything, this analogy argues that your clients should be paying for your time and material costs only and that, once the transaction is complete, there be no restrictions in either direction. After all, the airline doesn't require that I ask their permission for something once they've taken me where I wanted to go. Nor do I try to tell them what they can/cannot do with that seat once I've vacated it. In your example of the homebuilder photos, I can't help but wonder the artist is, really? Who has the greatest claim to the photos that result? Why you? 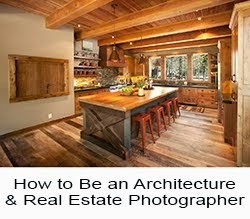 Why not the architect or homeowner without whom there would be no home to photograph? Why not the cabinetmaker? At what point does your work stop being a "creative process" and simply become a "service industry", where rights are more equitably decided. The unilateral way in which rights are assigned to photographers seems unfair in many cases. The cabinetmaker has to pay you to use the photos in their brochure, but why don't you have to pay them if you use those same photos in yours? Do you have any insight as to why this model continues to work? Why don't you or one of your competitors take the very obvious competitive advantage that comes from saying, "same cost as the other guy, but you get all the rights to your photos"? Strange... very strange. I have to think there's some important piece to this puzzle I'm missing, but I don't know what it is. Those clients hired me to take a photograph that they could use and as a photographer and I used my equipment and film to create the end product. It required film to create that end product and also a camera and maybe lights and a photo assistant and so on. In the end the 'product' was the finished picture and not the tools required to make it such as the camera, lights, and the film negatives. In some of the larger markets like New York and Los Angeles is very common for photographers to charge rental fees on their equipment but that does not make an argument that the client can claim ownership in the equipment as well. As for wedding and portrait photographers a lot of their business and marketing strategy revolves around low sitting or event fees and high markups on the prints and the wedding album. By giving up the negatives they give up the income that they should be making by shooting weddings. But I think when you're talking about copyright law and Creative Commons, these protect the author or creator of the works no matter whether it's a wedding or a photograph of a shoe. Photography is considered intellectual property under the copyright law and as the creator of a photograph you are instantly protected under US copyright law. It matters not whether the works were created with film or digital, it is still intellectual property. Possession does not mean rights of any kind without an agreement with the creator nor does it guarantee any rights beyond what is agreed upon. A painter painting your house is not considered intellectual property and not protected under the copyright law. With the homebuilder, we are both artists. Just because they asked me to photograph their art does not mean they own my art. By photographing their art I'm not claiming any ownership to their creation nor am I in any position to do as I please with their art. If I photograph your wedding I cannot go out and sell those pictures of you because your wedding could be in some views 'your art'. You created it. The copyright law spells out specifically that the photographer owns the work and the copyright no matter what they photograph and no matter who commissioned them to create the work. If the architect or the homebuilder or the cabinetmaker photographs their own creations than they will only copyright to their own photos. I imagine if the copyright law ever changes stripping the creators of protection of their intellectual property then the creative process will become a service industry. There are a million analogies out there that can work in this discussion. You pay for home delivery of the paper and cannot claim any ownership to the content. 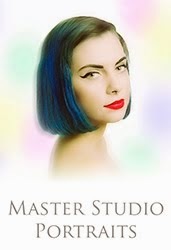 If you are a painter and created a beautiful watercolor on commission for a rich homeowner, they cannot then have it re-created and then distributed and make money on it without your permission and most likely you would want to make money from it as well. This model continues to work because we are again talking about intellectual property and not a commodity. In regards to one your last points, my client who hired me to do the work does have all rights to use the photos as they wish and most of my clients do as well. They do not want to have to pay me every time they want to use a picture for the company. This is contrary to what many other photographers preach in that you should be paid for every use and I don't necessarily believe that. But I will emphasize once again that the whole point with the original post was my client does not have the right to distribute the work I created for them to third parties who can then go make money off of the work without me getting a piece of the pie. The same goes when you pay that architect to design a new home for you, you will not be allowed to take those blueprints and distribute them to all your friends without them paying the architect to use the plans that he created only for you. Nice to see someone local talking about usage... a delicate subject in a small town. I've had (architectural) shoots where client A is proactive with commissioning photography. Client B is also involved in the project and will benefit from the production of photos as well, but waits until the photos are completed for Client A. Client B is now hoping/expecting to pay less for use of images because Client A "already paid for them". In fact, this can become a pattern for some clients, and it's important to be careful with how you price secondary usage to not give secondary clients all the benefits and none of the risk of the shoot. In this case, I believe the "stock" images already shot for Client A should have a higher value to Client B because 1. they see what they're getting, 2. There's no risk, real or perceived that the photos are going to be good, 3. The images are specific to Client B's project. I think your 75% example is good since it's likely more than Client B would have paid as a commissioning party to the shoot. My best-case scenario for all parties on a multi-client shoot is to get them to split shooting fees and licensing fees fairly from the beginning. To Broofa about your wedding negatives: We all want "lower prices". It's clear that the negatives have value, else why would you want them? I'm sure the photographer would have been happy to charge up front for all the value the negatives hold, but would you have been willing to pay 3x, 4x, 10x as much for the photography? The photographer holding on to the negatives gives you the opportunity to incrementally pay for the value when you order more prints, albums, etc. In your homebuilder example, it's again clear that the photography has value, or the builder/architect would have simply shot photos themselves. The builder's work has value as well - it's included in the cost of the home. The smart builder/architect will include the cost/value of good project photography in his overhead. I really like this well thought-out post. The first comment is an attitude I often encounter in my own work. With digital photography being so "easy" and readily accessible to everyone now, the value has been lessened in the eyes of the consumer and potential client. My question is on the actual pricing. I have never been able to figure out exactly how much I should charge for usage. I am mostly a live music photographer. Most recently, I was hired by the manager of one stage at a large music festival to photograph all the acts on the stage. I was paid by the manager for my work. I then had two separate requests from people to purchase rights to specific photos. One was from the fiancee of one of the people in the photograph who wanted to purchase rights so she could make as many copies of the photo as she wanted and not have to buy prints from me every time. The second was from a promoter who would like to purchase rights to the photograph in order to use it online, on fliers and in other ways to promote the artist. I have no idea what one should charge and I do think it should probably be different in each case since one is trying to profit off of the photos and one is not. Advice? Ahhh ... oh how I wish someone would comment on your question above Craigshit. This would be so useful to me right now. Charlie, in your case you're negotiating a contract up front that outlines the fees and subject matter. Is there any reasonable definition of "work for hire" that doesn't encompass this? Your ownership of copyrights results from the provisions in that contract, not because of US copyright law assigns you those rights. This is what is so astonishing to me - that those provisions are so de rigueur among photographers, so taken for granted, that they have been elevated to the level of "rights". Both you and "ab" comment that photographers often rely on the secondary fees that creating prints and reproductions bring in, claiming costs would be 3x-10x greater otherwise. Is that really the case??? You're generating 3-10x the revenue from your secondary licenses and services that you do from your up-front shooting fees? That's stretching the bounds of credulity; I would have guessed it to be closer to 10%-15%. If that's true, you're profitable by virtue of having a large repetoire of work to license and draw income from. So how does someone new to the business make money? 'Seems like they would have to focus on cutting costs and developing a loyal client base instead... which brings up my original question about why we aren't seeing a new model emerge. So, to Craigshit, I would say try something new: Charge what you feel your time and services are worth, and give the musicians you're shooting rights to the full hi-res photos. That could either be by assigning them the copyright while reserving some non-exclusive, non-transferable license for yourself, or vice-versa. Either way, I think you'll find they really appreciate and respect you for it, and become [more] loyal as a result. The Copyright Law does state as I wrote, that the creator of intellectual property does own all rights to that property upon creation. Your interpretations and assumptions of the law are very misguided and innaccurate. The Copyright law also states exactly as you presented it regarding work-for-hire. However, do you really, really, understand Work for Hire? I doubt it! You are assuming that work-for-hire is an implied contract for anyone hiring a photographer. Wrong! Work for hire is a written contract that is presented to the creator, or in my case, the photographer, and usually states that the creator relinquishes first, the copyright to the images and then agrees to make no future claims of any ownership by transferring copyright to the ‘client’. In some cases I heard of the creator cannot even show the work in their portfolio or website without permission. In work for hire situations, the client, now the owner of the copyright, can claim they are the creator of the photographs, take full credit, sell the ‘rights’ to use them, make money from them, and do pretty much as they please with the imagery, leaving the true creator totally out of the loop. And an employee is as far as I understand, not a work for hire situation, rather an employee has no rights or claims or ownership of anything at work, whether it is photography done on the job or any claim to ownership of the software they designed for the company. This year I have been in business 30 years, and can in all honesty say that never ONCE was I presented with or asked to sign a work for hire contract. And if I was I would have refused. Without a WRITTEN contract stating the assignment is a work for hire situation, the photographer owns the copyright, and the Copyright law validates that. So you are totally ignorant and wrong in your assumptions that all, in this case; commissioned photography assignments, are implied as work-for-hire. That is not what the law states. I recommend you really research this because your assumptions are totally…WRONG! That is absolute BS. Where did you come up with that? Do your homework, please. There is no written contract unless the client presents one. Here again, I have only signed a contract a few times and all they ever did was put in writing what the client wants as far as usage and what fees will be paid. They were never work for hire. Here again, in 30 years not one client ever had an issue with me, the creator, owning the copyright to work they commissioned me to do. In fact, with my clients, copyright is meaningless. What they want is the rights to use the photography. This is all done in negotiation and has for me, resulted in happy clients who got what they wanted: great work for a fair price and work they can use to meet their goals. First, if I am the creator of the images, I am not a third party, I am the contractor. Second, you negotiate the use of the images to meet their needs so they don’t have to come back. That’s it. So simple! In 30 years and thousands of assignments, I have never had to pull negatives for a reprint (film days) more that 18-24 months after the assignment. It’s has been a non-issue. Today, they get digital files and will now have those files on a hard drive to return to at anytime. This however, does necessarily mean they can use the images beyond the original usage rights granted. They wont have to hunt for that photographer who may be out of business. Based on your previous entry, I know you are pissed that your wedding photographer would not give you the negatives. But as I mentioned in my previous postings, it is a widely used business model to use low fees for the sitting or ceremony, and make money on the prints ordered. Giving up the negatives gives up that income. This is also a business model employed throughout the business world. Are you also as passionate about the software or iTunes music that you bought for your computer because you don’t own it or cannot burn copies for all your family and friends? And what have you missed by not getting the negatives? 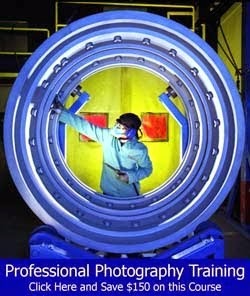 Obviously you would not have to pay the photographers for reprints. How many times have you ordered reprints since you got married? How many in the last year? I will make an assumption: none! So what have you REALLY missed? I find it quite baffling that you are so opposed to creators of Intellectual Property protecting their rights surrounding those works. What if you write and publish a novel? Based on your position it is obvious you would have no problem with me buying your new novel and copying it and distributing it for free, or making money from it, and you get nothing. I am sure you agree since I bought your book, ‘I OWN IT’ now and have the right to copy and distribute as I please. Your posted position also appears to imply that everything should be free or included in Creative Commons licensing in the new era of the internet and digital content. This position is becoming a huge problem for creators of any copyright work who think they can just copy it off the net because the net if free. If you were an author you would suffer the same problems the rest of use creators of Intellectual Property are fighting to maintain control and the income we deserve from our work. You are clearly not an artist trying to make a living off your art. Of course, if there's no such contract then things are different. But do you really have no agreement of any sort beforehand? No statement of work? No estimate? Nothing? If that's the case, than I think we've found our source of disagreement. I'm certainly no expert when it comes to the photography business - I just assumed that if a client approaches you about a job that there is some sort of written (or at least verbal) understanding as to what the terms of engagement are, and so debating about the "for hire"-ness of it seems pretty fair. Or is it really just, "hey Charlie, come take a few pictures of my house and I'll decide whether I want to pay you for it later!" Aside: If you look at one of the defining cases in copyright law for what "work for hire" means, you'll find that a large part of the reason this case was lost was because the work in question wasn't reproducable in the way a photograph is. (It was a statue and, thus, didn't fall under one of the nine categories outlined in section 2 of the definition of "work for hire"). Had it been, the ruling probably could easily have gone the other way. My feelings about the photographers I've worked with actually have little influence on the opinions I've expressed here. And I'm certainly not "pissed" about anything. At most, I am frustrated in a theoretical way that might, some day, turn into genuine vexation if I have to deal with any of the issues I alluded to. As I said before, I just find the way the industry currently works to be very strange and unpalatable, and I know from conversations with friends that they feel similarly. Finally, I am not at all opposed to artists protecting their intellectual property - to imply otherwise is just silly. But there is a lot of gray between the pure artist (wholly self-driven, lots of risk) and the pure employee (wholly driven by others, no risk). 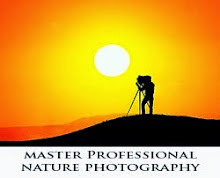 The vast majority of professional photographers fall somewhere in the middle. In your case, it sounds like you're closer to the artist side of things, which may be why you find my attitude so puzzling. For my part, my opinions here are directed at the more service-oriented half of your profession, where there is little doubt the work really is, "for hire" (regardless of what the letter of the law currently says). I hope this helps you understand my position a little better. You can call me "wrong and ignorant", but that is hardly the case. If anything, I'm all too well-informed and simply questioning the status-quo in an industry that is very clearly undergoing some very painful upheaval. Broof - The Photographer copyright is not a manifistation of the technician he/she is, but actually from the vision they have to create something unique and saleable and has an intrinsique value to their client (if there is one). Famous fashion photographers were famous for doing very little. Their assistants would be directed by them to set lights up in a certain way, set the camera in a configuration then instruct their subject. Sometimes they didn't even press the shutter, yet they own the copyright as it's their vision that the copyright protects. If I take a picture of the Mona Lisa, I may own the copyright of the picture I've taken, but I don't have the right to sell the image as I don't own the rights to the image within the picture. Nowadays, architects have started doing something similar and have started copyrighting the physical building's they design (although they don't lay the bricks and mortar themselves). This means a 3rd party person may have to pay the Architect to use the image of their building as-well as the photographer that takes the picture being reproduced. If you read the book: Beyond The lens" by the AOP then this will expain to you where the photographer or creator stands in the creative process and what rights are granted as such. Having read the above on image usage rights i wonder if you could help me with my query? Recently we had a fashion shoot, the resulting images are to be used to promote an event held by our magazine. Quotes were originally given by the photographer and model agents for 1 insertion x 1 month usage in 1 title. Following the shoot a third party has become involved who would like to use the images in their promotion within the same title during the dates previously stipulated including our trademark event logo. This is great for us to further promote the event but what is the deal in regards to usage? Is the third party expected to pay an extra fee to the photographer and model agencies? Or as the images are going to be used with the trademark event logo in the same title within the same time period are we covered already? Based on what you have mentioned here it sounds like the model and photog negotiated specific usage prior to teh assignment so if the third party wants to use the same images they would have to pay both model and photog for that use. On your end, since you benefit from this new exposure, may want to talk with the third party and make them aware of the need to pay the others, craft a price they feel is fair and then present it to the photographer and model. At least that starts the negotiation. I have seen things worked many ways: the client (you) wants this additional exposure so you negotiate directly with the photog and model for this additional usage and then provide it free to the third party because you will gain. Or see what the third party wats to spend or their limit is, then offer a set price for this additional defined use and give the photog and model a take or leave it. Not to many are turning down reasonable offers. Good luck and if you work something out maybe you could post it here and share how it worked for you. Here's my question on the subject. Two friends go hiking. The non photographer pays all expenses - fuel, transportation, etc. the photographer takes a few shots of her friend and gives them to her friend. No conversation takes place regarding the photos were taken as "payment." Friend crops one of the pics for her twitter account. Photographer demands the photo not be cropped. The friend values the friendship and deletes the cropped photo. What is the legal position? At what point does a photo of a friend become just that - a photo of a friend?